Interested in learning more about our newest volunteer opportunity? Read about how Aspire! 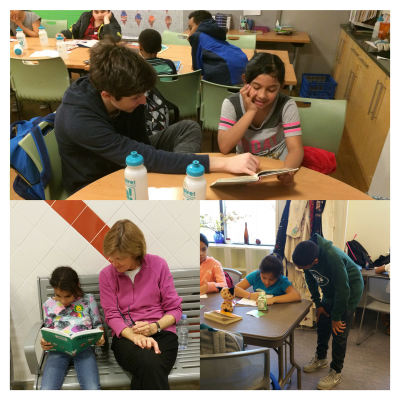 is building on The Reading Connection legacy in Arlington County. Reading buddies help students in our afterschool program by reading with them one-on-one and assisting them with their homework. This opportunity is available at three sites each day afterschool between 3pm and 6pm. Reading Aloud volunteers commit to one hour once a month of reading with a group of students. Opportunities begin around 6pm in the evening.